Skier, Hiker, Biker & grandma. You will never have to drive once you arrive. Swim, bike, hike, ski, play tennis, golf, shoot clay, take a canopy tour, ride a horse, ride a slide, snow or summer tube, eat , drink and be merry. Call the shuttle. Lots of rafting, rail trails, Flight 93 Memorial, and State Parks are just a short ride away. Enjoy the Hot tub after a hard day. Enjoy the 2 story window-covered wall viewing the slopes. Enjoy the company of your guests while you make dinner in the brand new kitchen which is wide open to the great room.. Strong wifi connection. One thermostat in upstairs bedroom controls house. Baseboard heaters with room thermostats in each room. Great room, seats 11 or more. Some spices, condiments, etc. left for use. New kitchen, stainless steel appliances, new cabinets and counters. Laurel Hill SP has kayaks and SUP, as well as canoes for rent, 5 miles away. Whitewater rafting at Ohiopyle, 35 minute drive. Confluence is about 45 minutes, motor boats can be rented. 1 mile to slopes, or free shuttle. Short drive to 7 Springs course. A 5 minute walk, or 1 minute drive to pool. Summer only. beautiful home , perfect location, Great time !! My wife and I really enjoyed our stay at this condo. 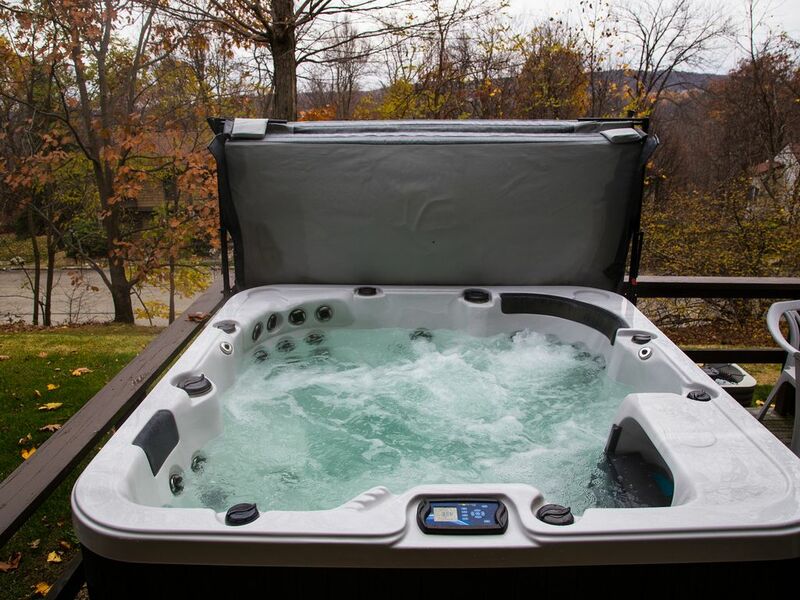 We thought it was very spacious and in a great location.. the fireplace and hot tub we’re a nice add ! I would definitely stay here again !! Property was great! Clean, a good size for 6 of us, and perfect location in relation to the resort. Would definitely recommend! Super cute, very cozy with all amenities. Everything was very clean and tidy. Beds were comfy. Great weekend away with the girls.